Parkinson’s disease causes a wide range of health issues that develop gradually. If you’re caring for a senior loved one with this disease, it’s important to know what to expect and how to handle certain challenges that come with it. Keep the following tips in mind to provide high-quality Parkinson’s care for your loved one. Parkinson’s disease can make it difficult to walk around, increasing the risk of falling. Go around your loved one’s home and remove tripping hazards such as area rugs and cords. You should also make sure sofas and other pieces of furniture aren’t blocking pathways through the house. Providing clear spaces to walk lowers the risk of injuries from tripping or falling. Consider installing grab bars in the bathrooms and hallways as well. Making your aging parent’s home safer can help him or her avoid becoming seriously injured. If you’re the primary family caregiver for an elderly loved one and need additional assistance providing high-quality senior care, Clarksville Home Care Assistance can help. We are a leading home care agency committed to changing the way seniors age. Seniors who have Parkinson’s disease sometimes take different medications to manage their symptoms, especially as the condition progresses. Set reminders for your loved one to take medications at the right time. Keep a list of all of the medications to bring to appointments, and share it with anyone else who provides care for your loved one when you’re unable to, such as other family members. Your loved one should get exercise on a regular basis, although this can become more challenging as the disease worsens. Keep daily exercises simple, such as taking walks or doing stretches. Ask a doctor to suggest physical activities that are safe for seniors with Parkinson’s disease. Since this condition may cause your loved one to physically freeze up at times, the doctor might recommend avoiding swimming, biking, and similar activities when the symptoms become worse. Parkinson’s disease can cause constipation. Providing a diet that contains a lot of fiber can help your loved one prevent constipation. If your loved one is overweight, he or she might experience even more difficulty moving around as the disease progresses. Eating nutritious foods and adopting a well-balanced diet can help your loved one lose excess weight. Some family caregivers are too busy managing other responsibilities to find the time to serve healthy meals to their loved one. For some families, caring for a senior loved one can be overwhelming at times. Luckily, they can rely on professional respite care. 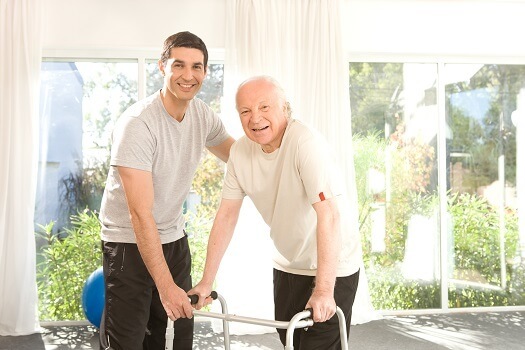 Clarksville, Tennessee, Home Care Assistance is a trusted name in respite and hourly care. Our caregivers are available around the clock to assist seniors with bathing, transportation, medication reminders, exercise, and much more, allowing families the time they need to focus on other important responsibilities or just take a break. Seniors with Parkinson’s disease may develop depression as they try to manage their symptoms. Help your parent find a support group that provides education about Parkinson’s disease and meet other seniors who have it. A support group may provide the emotional support your loved one needs to manage Parkinson’s disease in a healthy manner. You may also benefit from finding a support group for Parkinson’s caregivers. Joining one of these groups can help you manage the stress of caring for someone with this condition. Without help and support, caring for an aging adult with Parkinson’s can be stressful. Whether you need respite from your caregiving duties or your aging loved one needs live-in care, Clarksville, TN, Home Care Assistance can meet your family’s care needs. Our dedicated caregivers are available around the clock to provide transportation to doctor’s appointments, ensure seniors take their prescribed medications, and help with a variety of tasks in and outside the home. Call [hca_today] today to find out how an experienced caregiver can provide high-quality Parkinson’s care for your loved one.